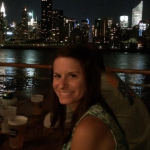 A Dog Run In Astoria? It's Happening! It’s a great time to be a dog owner in Astoria! We’ve already shared the scoop about a hip new doggie cafe, and now, even bigger news: Our local officials recently announced that $1 Million is being allocated to build a dog run in our neighborhood after the project received community support in last April’s Participatory Budgeting vote. The plan is to convert the Triboro Lot C under the RFK Bridge, which is currently empty, into a space for dogs to play safely. 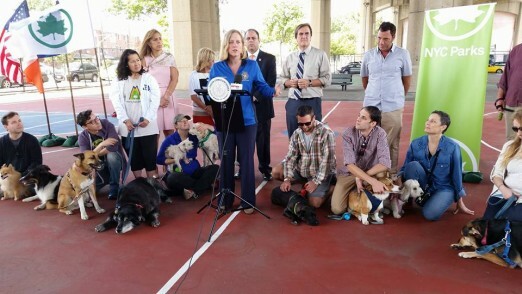 Council Member Costa Constantinides and Queens Borough President Melinda Katz gathered a group of Astoria dog lovers together to share the exciting news that they will both be contributing $500,000 from their 2016 Fiscal Year budgets to the project. Major props to the Astoria Dog Owners Association, Astoria Park Alliance, and Old Astoria Neighborhood Association, as they played a key role in rallying community support during the voting period. It’s incredible to see so many neighborhood folks coming together for a positive cause! Are you pumped for the new hangout for our four-legged friends?